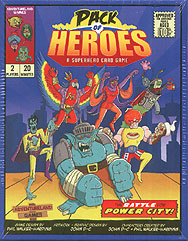 Pack of Heroes is a two-player card game set in a fun parallel universe of vintage comics! It's an all-out tactical battle with surprising super powers and killer combinations! Whichever team wins will be declared the official superhero team of power city!